Source: American Lumberman. The Personal History and Public and Business Achievements of One Hundred Eminent Lumbermen of the United States, First Series. Chicago: American Lumberman, 1905. pp. 131-133. Original courtesy University of North Carolina at Chapel Hill. The history of southern timber transactions for the last twenty years, and of the increase in the value of the property within a much shorter period, is an extremely interesting one. In the making of this history James Dixon Lacey played an important part. He has been closely identified with it really a part of it all -- since 1880. Mr. Lacey was born on a farm in Wayne county, Pennsylvania, fifty-six years ago. As the northern tier of Pennsylvania counties was a heavily timbered region, his father, in addition to working his farm, ran an old fashioned sash saw mill and handle factory, which fact accounts for Mr. Lacey's earliest impressions being connected with the lumber and timber business. When twelve years old he began life's struggle by securing employment in a drug store in the neighboring town of Honesdale, where he learned the profession of pharmacy. In 1866 he went to Grand Rapids, Michigan, and worked as a clerk in a drug store in that city until 1869. Then he went into the drug business for himself. In 1871 he sold his store and went on the road as a traveling salesman, visiting all the large cities, including those of Canada, east of the Rockies. In 1873, together with a partner, he reentered the drug business in Grand Rapids, under the firm name of Mills & Lacey. He continued in the business there until 1879, when he went south for the purpose of introducing chemical preparations of his firm's manufacture. He made two trips to the South, spending considerable time there, and on both occasions his attention was attracted to the vast forests of timber in that section of the country, which up to that time had remained practically untouched by the woodsman. His inherited aptitude for lumbering suggested to his mind the great possibilities that lay in these forests, waiting for recognition, and he decided to make his first venture in timber. Accordingly, in 1880, in association with Isaac Phelps and others, of Grand Rapids, he bought in southwestern Missouri the land which formed the basis of the present timber holdings of the Hersheys, of Muscatine, Iowa, now operating under the style of the Ozark Land & Lumber Company, and whose mills are at Winona, Missouri. At this time Mr. Lacey decided to make the acquisition and handling of southern timber lands his vocation. He employed Michigan woodsmen of well known standing and started to work, learning the business in his usual practical and thorough manner. In January, 1881, he formed a copartnership with William M. Robinson, of Grand Rapids, and the firm of Robinson & Lacey was formed. It was one of the leading factors in the southern timber business until its dissolution in 1892, at which time Mr. Robinson retired. 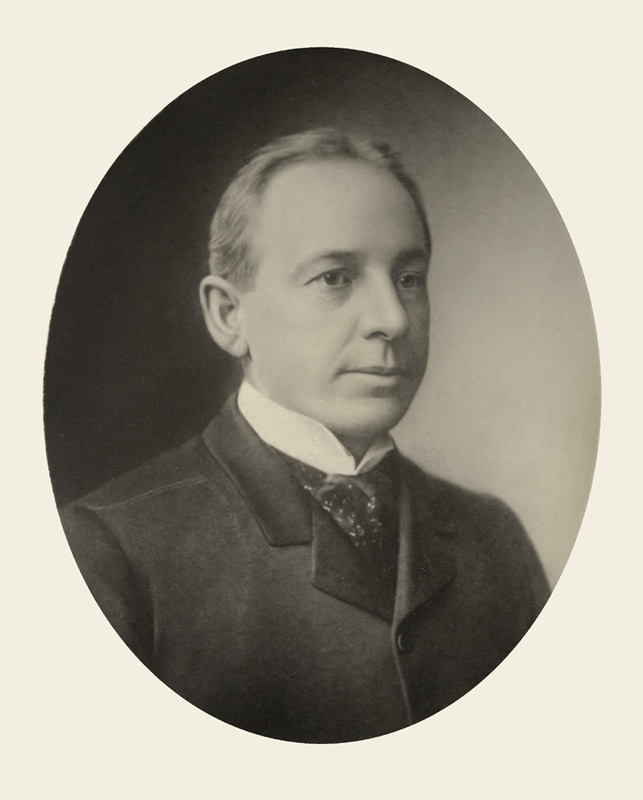 Mr. Lacey continued in the business alone until September, 1898, when he organized the firm of J. D. Lacey & Co., with Wood Beal, who had for years been in his employ, and his son-in-law, Victor Thrane, as partners. Their principal offices are in New Orleans, Louisiana; Chicago, Illinois; and Seattle, Washington. Mr. Lacey's first operations in timber were in southern Missouri; later they were in Mississippi and Louisiana, and afterward extended to all parts of the South, his operations being confined mainly to pine and cypress. His first transaction of any magnitude in cypress was in 1889. Since that time Mr. Lacey has been acquiring and solidifying and placing on the market large tracts of cypress in Louisiana, Florida and the Carolinas. He is president of the Southern Cypress Company of Louisiana, vice president of the Gardner & Lacey Lumber Company, of Georgetown, South Carolina, and president of the Tensas Delta Land Company, Limited, of Louisiana. Through his operations in timber lands in Alabama and Georgia he became interested in iron and coal properties, and during the last six years has engaged largely in the production of iron ore. He is one of the principal owners of the Bluffton Iron Mines, of BlufTton, Alabama; of the Wilson Ridge Ore Company, of Randall, Alabama; of the Lacey-Buek Iron Company, of Birmingham, Alabama, which owns and operates a furnace at Trussville, Alabama; of coal mines at Birmingham, Alabama; of the Brown Ore Mines at Oremont, Georgia, and of large quarries at Birmingham, Alabama. Mr. Lacey was one of the first lumbermen in Louisiana and Mississippi to realize the profits to be made in estimating, grouping and entering lands and reselling them in block to investors and operators. A conservative estimate of the transactions of this sort carried through by James D. Lacey and associates, since they began in 1880, places the total at an amount exceeding 5,000,000 acres; also during that time they have estimated fully double that amount of timber lands in the various southern states. Individually and in association with others, Mr. Lacey is largely interested in timber holdings in Louisiana, Florida, Mississippi, the Carolinas, British Columbia and the Pacific Coast states. It is estimated that two-thirds of the large investments made by northern lumbermen in southern yellow pine and cypress timber have been made through Robinson & Lacey, James D. Lacey, or J. D. Lacey & Co.
Mr. Lacey has spent parts of three years in Honduras. He organized the Honduras Timber Company, which has large holdings of mahogany stumpage in that country. Mr. Lacey does not force the attention of the world to himself by making a great outcry; on the contrary he is quiet in his manner and democratic in his ideas; but he possesses qualities which have enabled him to accomplish more in his chosen line of operation than perhaps any other half dozen men combined. He is a born timberman; he is by instinct a worker; his absolute honesty compels the acceptance at their face value of all his representations, and whoever once becomes his customer or associate remains so permanently. Thus his business influence and the volume of his transactions are growing constantly. He is also a man of wide information and one who is indefatigable in his labors. The technical training he received in his early profession; the knowledge gained by extensive travel; the careful study of trade conditions and requirements as applied to timber and lumber industries; his conservative judgment and intuitive knowledge of men and affairs all qualify him preeminently for the business in which he is engaged, and make him a leader in his chosen occupation.